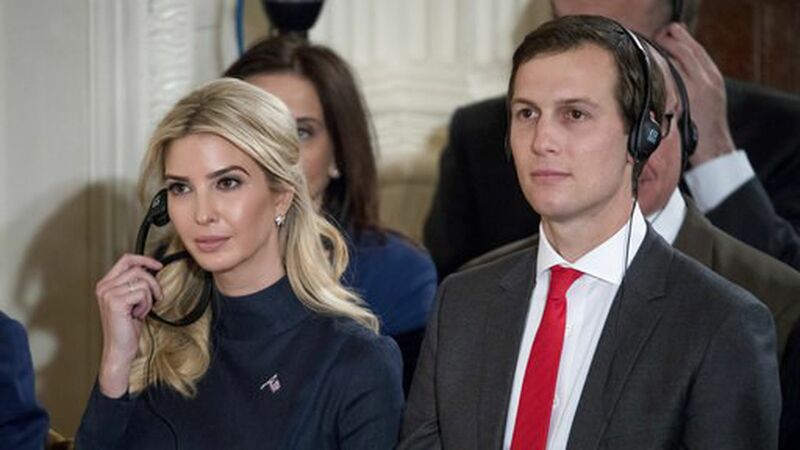 With increasing legal and practical questions about their presence in the West Wing, Jared Kushner and Ivanka Trump are trying to remain viable by shrinking their purview and making more of an effort to "stay in their lane," associates tell us. White House Counsel Don McGahn has vented to friends about the complications of having the couple in-house. Ian Bremmer, president of the Eurasia Group, reported to clients after the UN General Assembly that he had heard from three separate international sources that on-thin-ice SecState Rex Tillerson has taken to calling them "the royal family." Kushner was interviewed on Capitol Hill about his Russia contacts during the campaign, and was involved in many of the matters that special counsel Bob Mueller is probing. Kushner supported the firing of FBI Director Jim Comey, seen by many Trump allies as a disastrous decision. Both see themselves as under constant attack, as a way to get at the president. In the chaotic early days of the administration, "Javanka" — as Steve Bannon derisively called them — were involved in almost everything, from personnel to presidential statements. But now — with the departures of Bannon and Reince Priebus, and the stricter processes put in place by the new chief of staff, Gen. John Kelly — colleagues say they are sticking more closely to their formal portfolios. Under Kelly, "they understand now that they don't have to take on those responsibilities," a colleague said. "Now there are proper channels, and they're just doing what they're supposed to be doing." So Ivanka is focusing on issues like job creation, working families, paid family leave, a child-care tax credit, STEM education and a World Bank fund to help women entrepreneurs. Jared's jobs include the Middle East peace process, NAFTA, improving job training in federal prisons, and his Office of American Innovation. He organized Trump's trip to Saudi Arabia, and brought tech execs to the White House after the Trump climate decision that they hated. Be smart: As Mueller begins interviewing White House staff and the West Wing becomes increasingly consumed with what he's going to decide, New York may start to look tempting to the couple. One possible exit strategy: Trump, who has called Ivanka "Honey" and "Baby" in public and is protective of her internally, could say she has paid too high a price for him, and should return to her own life.